Princessly Polished: Don't You Wish you could Pull Me Close? 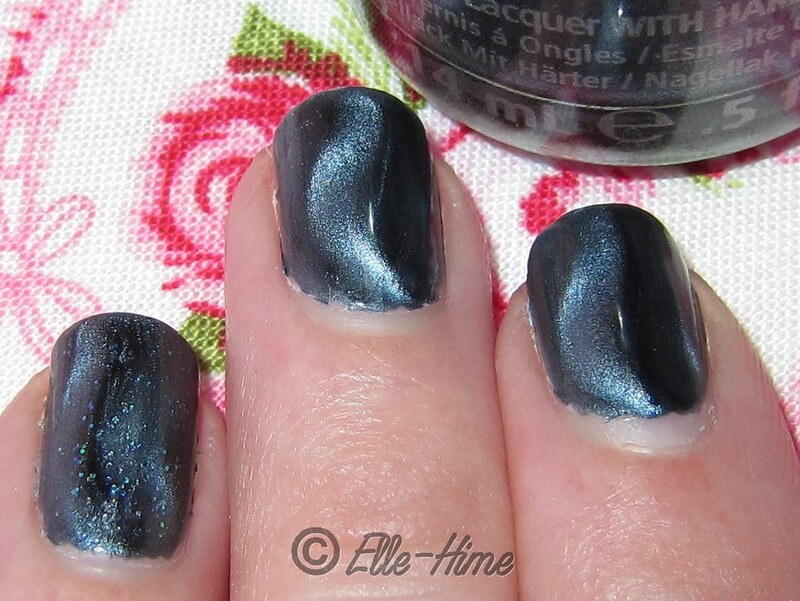 Title based on polishes used! 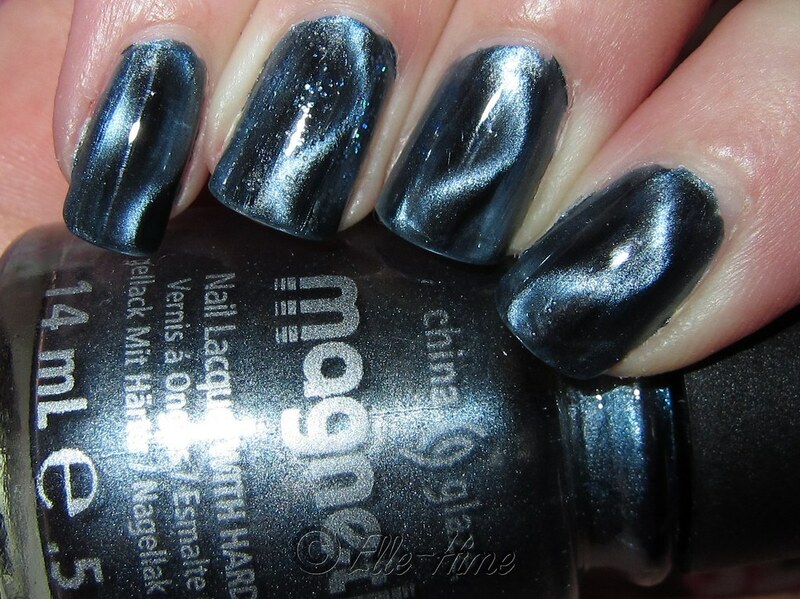 I chose China Glaze Pull Me Close which is of course from their new Magnetix line. I did a coat of Pure Ice Don't You Wish on each ring finger. Sadly my pictures didn't turn out so great today. 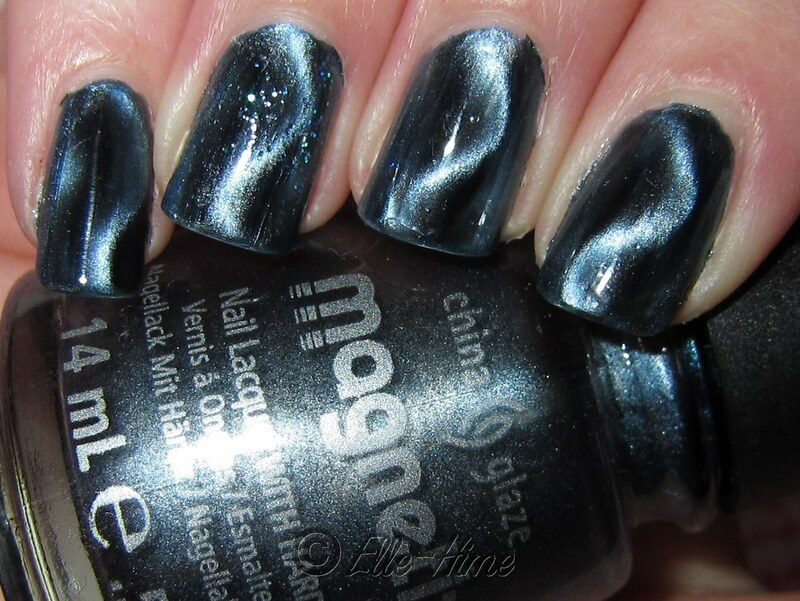 My nails look better in person despite the topcoat issues I had - it kept creating bubbles! I think it's the best of their collection!